The talks between the European Union and Azerbaijan on a new partnership agreement starting on 7 February in Brussels provide a slim ray of hope that the EU will be able to persuade Baku to dismantle repressive policies against civil society and free political prisoners still held in the country’s prisons. 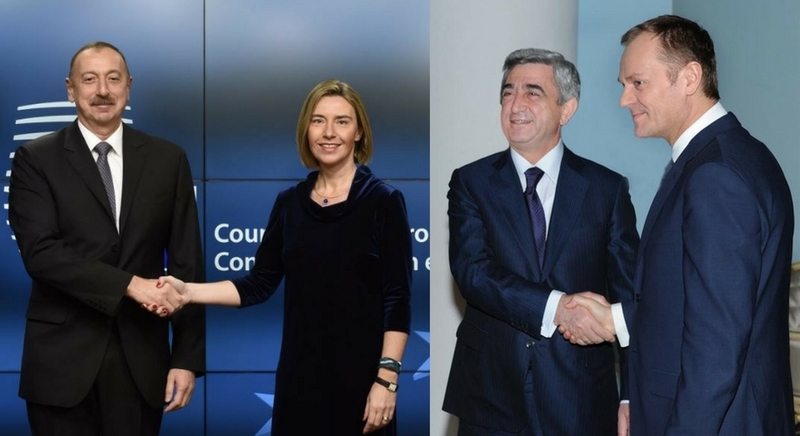 As the negotiations with Armenia on a new agreement with the EU are already under way, the start of the talks with Azerbaijan means that Brussels will be now negotiating with these two sworn enemies in parallel. The very fact that both Yerevan and Baku need a deal with the EU opening the way for both countries to the EU financial support gives Brussels the leverage and means to bolster the chances of peace in the region and enable civil society to function normally, especially in Azerbaijan. The challenge facing the negotiators is considerable and will need adroit linkage of seemingly intractable issues, which their every instinct tells them they should keep separately. The partnership talks must also contribute to a major reduction of tension in Nagorno-Karabakh and thus limit the chances of a new outbreak of fighting between Armenia and Azerbaijan. If all this happens, the negotiators from both Caucasus countries and the European Union will earn a place in the troubled history of the region as those who have brought peace and prosperity to societies, which have long deserved it.